Folks, I’ve been out in the real world. I understand that saying as much as the next person. But eventually there comes a time when upgrading makes sense. It makes even more sense when you’re doing it on your schedule and not someone else’s. In this case I’m talking about the venerable SWM-32. The SWM-32 was first released about a decade ago as a way for commercial installers to serve apartment buildings. It’s a big beast of a thing, mostly because it’s really nothing more than four SWM-8 multiswitches in a single case and fed by a single power supply. There are some modifications which give it a stronger output power and the ability to cascade two switches from the same line, but really it’s just four garden-variety SWMs in one box. The SWM-32 was the official choice for D2 Advantage installations (originally called MFH-2) installations because with a single box, you could feed 32 receivers off four home runs. This made it easy for installers, who often allocated 4 tuners to each apartment, meaning you could serve 8 apartments easily. The SWM-32 was always more expensive than using dual SWM-16s, but it was viewed as more durable and a better bet for commercial. This was true for the most part until the D2Lite box came out in 2014. This single box combined two SWM-16s into a single weather-resistant enclosure that did basically everything a SWM-32 did at a lower price. As early as 2014, the SWM-32 started getting phased out. The SWM-32 was never intended to work with Genie installations. A typical Genie install uses 5-7 tuners, meaning that you ended up being able to feed only 4 apartments instead of 8, and you ended up with a lot of extra tuners. The Genie 2 tries to pull 11 tuners but when connected to a SWM-32 it will pull 7. However, 4K is not supported at all by SWM-32 multiswitches so customers who want 4K will need their own dedicated wiring. Another reason to take down the SWM-32 is that the power supplies are getting harder to find. The SWM-32 will work with a PI-29Z power inserter but it will run hot. It’s designed to work with either a 20 volt or 24 volt power supply. The 24 volt ones were discontinued years ago and the 20 volt ones are getting harder to find now. Using a PI-29Z will shorten the life of your SWM-32 and if you are hooking it to an older multiswitch it will make it fail that much faster. It’s time to get rid of the SWM-32. It’s time to get all your old installations up to date before they fail. The replacements are the SWM-30 and SWM Expander. The SWM-30 feeds up to 26 receivers, or two Genies, from each multiswitch. It’s fully compatible with 4K, with the new dishes, and with Genie 2. It’s the right choice for apartments. 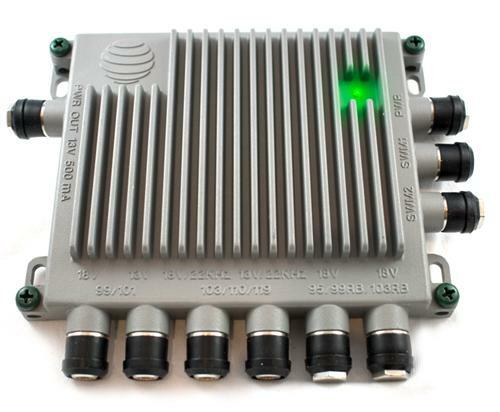 While it doesn’t feed as many devices as a SWM-32 by itself, it’s much less expensive. The SWM Expander holds up to four SWM-30 multiswitches and feeds them with a pair of PI-29Z power inserters. One set of cables feeds all four multiswitches and it’s designed to let you change out one switch without affecting the others. Together this system lets you feed 8 apartments with Genies or up to 104 regular receivers in a compact unit that’s about one-fourth the size of a SWM-32. It’s also optimized to run cooler and should last even longer due to better ventilation. This is the setup you’ll need when your customers start asking about 4K. You’ll need to switch out the LNB with a Reverse Band Legacy one, and run six lines from the dish. You may also need to change the amplifier and polarity locker to accommodate six lines. Why do this if the system already works? The newest SWM-32 is now close to five years old. It’s been sitting there working all that time and it’s outlived its expected service life of three years. It may continue to work for years to come or it may quit on you tomorrow. Choosing to upgrade on your schedule means that your customers will be less likely to complain, and it will mean that you’ll have happy TV viewers for years. 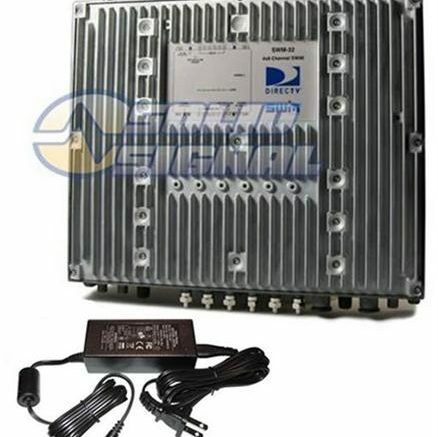 For all the commercial DIRECTV parts you could ever ask for, shop Solid Signal. Why are the green label splitters so special? Do DIRECTV receivers have a “sleep” mode?